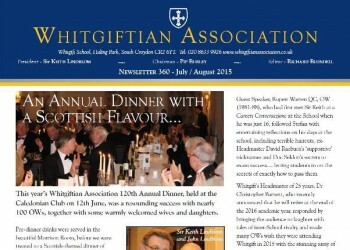 The latest edition of the WA Newsletter, Issue 360, is now available for WA Members to view. Members will need to login to the Members’ Area and then use the link to WA Publications, in the left hand menu. You’ll notice that this bumper, 8-page issue is the first in our new design. We hope you like it. Any feedback gratefully appreciated, as always. Just email the office.